The SDK will be made available to developers who wish to make and sell applications of the ground-making, motion-sensing technology, which is beginning to grow beyond the Xbox 360. In a blog post entitled "Feeling The Kinect Effect", Frank X. Shaw, the company's head of corporate communications, says that the launch will see more innovation and imagination. Confirming a story we first covered on Monday, Shaw wrote: "To further fuel innovation and imagination, we will offer a Kinect for Windows commercial program early next year. "We recognize the intense commercial interest in harnessing the capabilities of Kinect, and are working with a wide range of companies and developers to create a great set of tools and APIs." Shaw said that over 200 companies, representing 25 industries had already approached Microsoft with ideas for the platform, beyond its use on the Xbox 360. "This belief that our ideas PLUS the ideas and ingenuity of others is more powerful than either alone is central to Microsoft," he added. Microsoft initially made an SDK for Windows available to researchers and academics back in June after developers had hacked the device and produced a host of intriguing uses for the Kinect sensor. However, the launch of the commercial SDK will give developers the opportunity to pass their creations on to consumers for the first time. 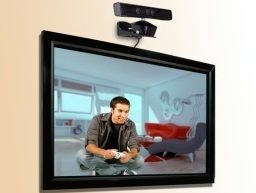 Microsoft used the blog to highlight a video featuring some of the ideas already harvested from the Kinect for Windows SDK.